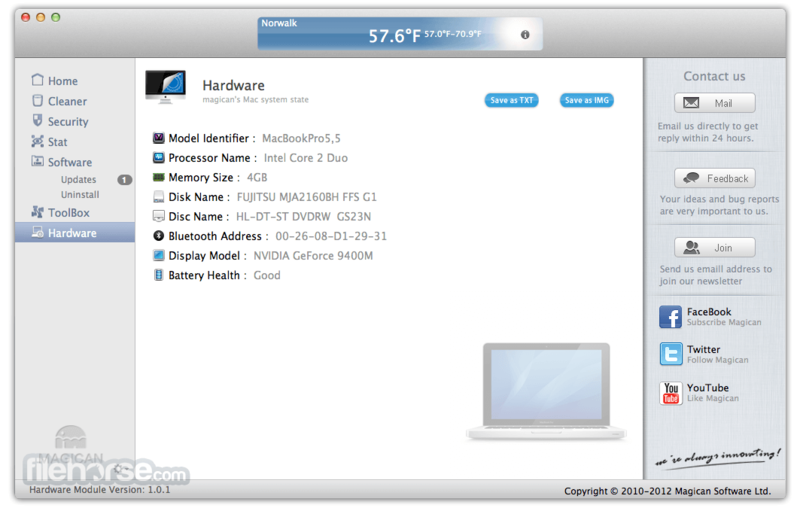 Magican is a free system monitoring application for all versions of Mac Os X that can help you in few simple steps to speed up your Mac OS system from unnecessary apps and processes and free-up unnecessarily full disk space that has made your local storage too crowded. Not only that, Magican can also serve as a real-time system monitoring tool that also has a powerful antivirus capabilities, giving you full oversight over currently active programs, their memory footprint, processing need and much more. This section of the app can be especially useful to advanced users who want to keep their Mac in perfect state, always knowing when something unauthorized is running and having ability to shut down programs that are not needed. Visually, Magican features very attractive and intuitive interface that enables novices to easily keep their Mac in check, with easy to access Quick Scan functions. Main dashboard features listing of how much space was freed since last scan, and tabbed interface to Home, Cleaner, Security, Stats, Software (detected waiting Updates and Uninstall section), Toolbox and Hardware. The most important section “Cleaner’ holds large amount of tweaks that can tell Magican for Mac how to scan your files, what files to seek and what to avoid. 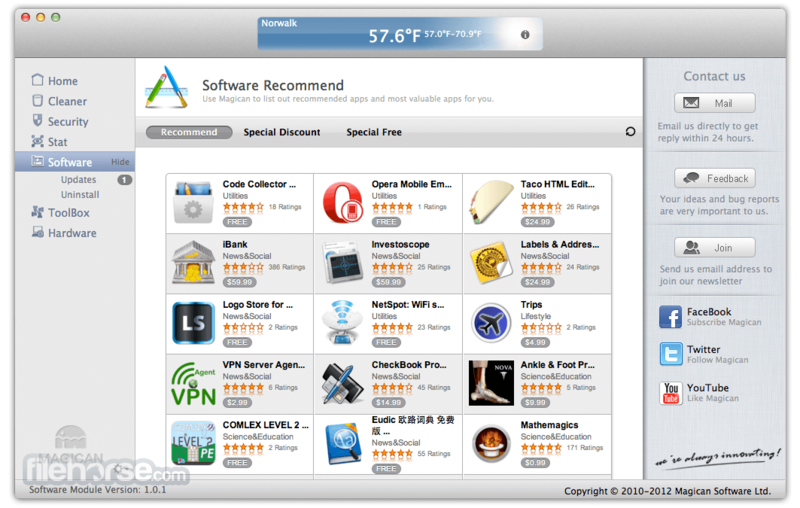 Software sections has deep integration with AppStore, offering users Recommended, Discounted and Special Free programs that are used by its large community of users that come from all four corners of the world. If your Mac OS system is old and is showing its age with reduced performance and virus infections, then Magican is a great free program for you. It will optimize your system and make it safe for work.